Word on cyber-ville is that British actor Idris Elba will play the role of former South African president Nelson Mandela in an upcoming biopic. 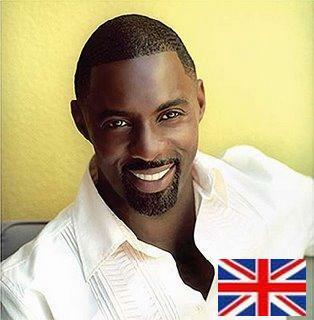 No doubt that Idris' star power in Hollywood has risen with this portrayal of characters in big budget films like "Thor" and "Takers". Though the latter was a bit of a disappointment for me, I enjoyed his performance in "Tyler Perry's Daddy's Little Girls"
Elba was working in nightclubs under the DJ nickname Big Dris in 1991, but began auditioning for television parts in his early twenties. After a stint in the National Youth Music Theatre, Elba worked the night shift at a Ford factory in Dagenham, London in 1989 and '90. He started his acting career while in high school with encouragement from his drama teacher. The biopic is yet to be named which leaves me wondering what could they possibly have to tell about Madiba this time. The pressing question on film enthusiasts though will be; Can Mr Elba measure up to the performances of prolific actors who have portrayed this iconic figure over years? Morgan Freeman, Sydney Poitier, Terrence Howard, and Dennis Haysbert have taken on the role of playing Mandela with Morgan getting an Oscar nom for his work in Invictus. Brotha's got the swag ... no doubt but can he pull it off?